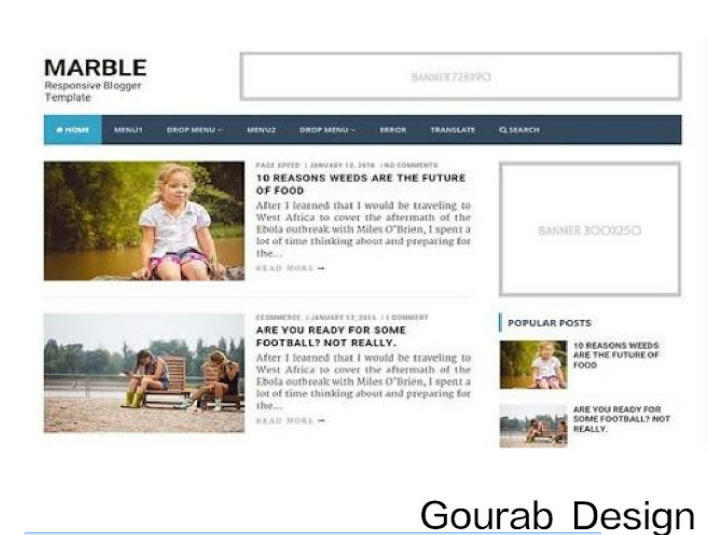 Hello Bloggers, share of Gourab Design in this session, Marble - Responsive, SEO Optimized and Free Blogger Template 2018. If you run a tech blog with a blogspot, then the marble is right for you. If you want to create a simple technology blog . it will be your right choice. Marble is a Responsive which is compatible with all mobile devices. 100% SEO Optimized is 100% SEO Markup till best score. You should use this in your blogging blog. In this theme we have used lazy loading scripts that will make your blog faster. We have used the unlimited color option for the second time You can easily change the colors. When design we always focus on search engine optimization. Marble Professional is a 100% SEO score for search engine optimization. After all, it has been optimized to do great work and helps to rank better in search engines. after it optimizes all our theme search engines for better performance in search results, become our standard Use this model see this amazing performance . This is compatible with all devices and mobile friendly themes, the most important responsibility is to use the appropriate for your blog to play an important role in search results, . mobile friendly Because more and more mobile apps and game download sites are completely coming from mobile. Therefore, it is very important to make your blog a mobile-friendly blog like Google Mobile. All the note:- LATEST UPDATED VERSION by GD Design.